I’d like to think that we’ve all had “enchanted” moments in this space. I have had at least two, maybe three. The space I’m referring to specifically is the digital/social media, online marketing space. Moment #1 possibly occurred when I built my first website. That was pretty cool. It looked pretty bad but there was something to be said about doing it without the aid of templates and the myriad of tools and programs available today. I got better, but the light really went on from that first experience. Back in 2005 I sent former Apple Evangelist, Guy Kawasaki, an email; and to be honest, I didn’t really expect a response. The email was a general, ” Oh Sensei, What is the path” type of inquiry. At that time I had recently read his book The Art of the Start and also had stumbled onto Guy’s website/blog, How to Change the World. After reading the book and the blog I was beyond energized and knew what I needed to do and was merely hoping that Guy was as genuine as I thought-and by responding to my email, he would only validate the notion even more. Though at the end of the day, I didn’t expect a response. Well…He did respond. The key there? He responded. The content of the email? I can’t really remember. What struck me was that he responded. It opened my eyes to the power of connections, the power of having a direct type of access to someone who you might have thought was inaccessible. It was the power of social to me on a very small but large scale all wrapped into one. That was truly Enchanted Moment #1. Moment Number Two: I initially got into social media because of my SEO background. I found out rather quickly how one could “game” blogs for SEO and reputation management with hyper linked signatures embedded with key words. It was apparent pretty quickly that this worked so at the time I wouldn’t pay much attention to the content of a blog as much as I did to the page rank of it. Then one day I read a post that struck a nerve. I commented and they commented back. Whoa. What is this dialogue? This is better than hoping or waiting on an email response from Guy Kawasakai! It was real time, it was genuine, and it added these immediate reciprocal layers of texture to a static web and a static job function that really opened my eyes to the social possibilities of the web. The moment was huge for me. It changed the way I did things and the way I thought about things. In 2011, it would appear that my three experiences have come full circle. 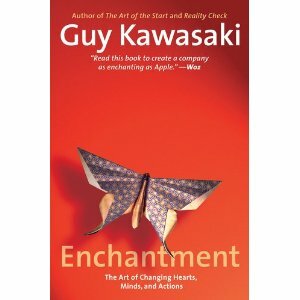 Last night I finished an advance copy of Guy Kawasaki’s latest book Enchantment. I was asked to read and review it and I have to say, I probably would have read it without him asking me. Here’s the point or here’s how much things have changed for me since that day back in 2005 when I sent Guy that email. Not to revel in the reasons why I was selected to read and review the book because it really can be completely subjective, the fact is that my influence and opinion and networks mattered. That’s pretty cool. That’s the power of social, the power of connections and the power of the web. It has shaped my life and my career over the last 6 years all in a positive way. So in a way, Guy has been part of my enchanted moments from the beginning and now in the middle. Now the book Enchantment: It took 2 flights to finish it. A quick read. I didn’t have to struggle to find the meaning of the things I was reading. It was as easy a book to read and understand as you will find. The tag line, “The Art of Changing Hearts, Minds and Actions”, could not be more appropriate. After every chapter is a quick snapshot of someone’s moment of enchantment in their life or career which adds an additional aspect of “human-ness” to the book. It’s real. It’s Tangible. Guy’s style is so non invasive and I think that’s the takeaway. I’m glad I read it, will probably read it again and I will ultimately give it to someone who can benefit from it. Enchanted moment #3? Having Guy host our weekly #Social Media Tweetchat-That would be full circle. Stay tuned! The key? I just have to ask. Truly the power of social. Have you had your enchanted moment yet? Twitter Help: 3 Simple Take Away’s. For those of you who are tired of reading “another” blog post about Twitter, move on. For those of us who realize the power of the platform and want to leverage it as another tool, another means or another way to enhance communications and the relationships that may bubble up from them, Keep reading. 1) There is no perfect way to use it. 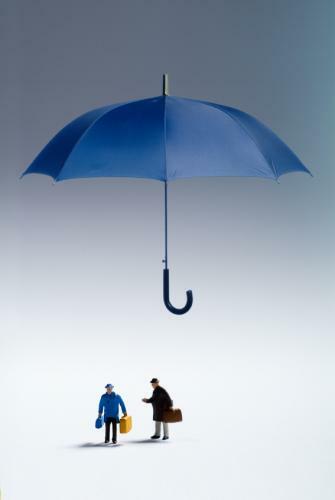 2) There is no absolute “right” way to use it. 3) There are plenty of wrong ways to use it. Rather than go into a lengthy discourse on each of these points, lets leave it at this. If the way that you are currently using Twitter is working for you, then I applaud you and for the most part I would not suggest you change anything. Keep it going and keep enjoying it. 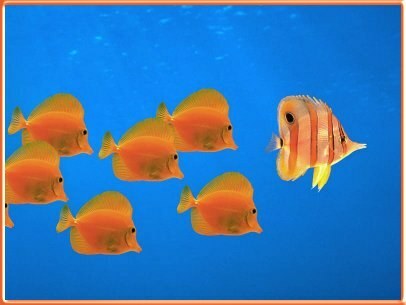 However, if you are seeing nothing from your foray into Twitter, then perhaps you need to “change what you are doing”. If you are NOT having conversations, NOT exchanging opinion, NOT having great discussions, or NOT sharing links, and NOT meeting people and NOT networking and NOT taking 140 characters to the next level-Then you may be using it in the wrong way. What do you think? So decide right now. Do I want to continue to get nothing out of this? If you want to continue to waste your time and everyone else’s, then keep doing what you are doing. I’m not sure why you would, but hey, we still get SPAM right? If you want to change the way you are currently using Twitter, there are tons upon tons of solid links on the proper use of it and the benefits associated with it. They are not hard to find, but these should get you going.